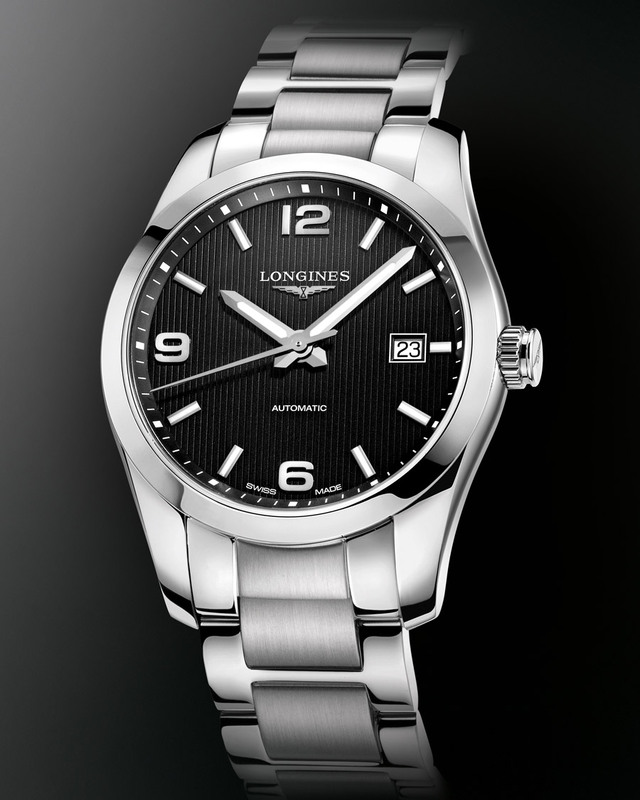 The new Conquest Classic collection from Longines includes models in three sizes: a 29.50 mm ladies model, a 40 mm solo tempo and a 41 mm chronograph. 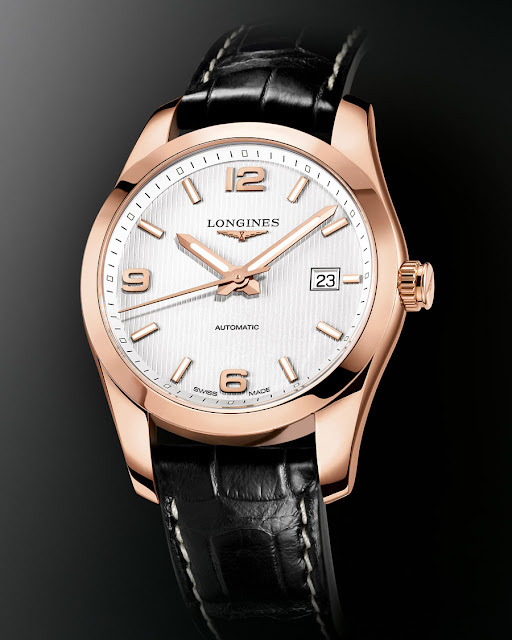 The ladies’ models are available in steel, rose gold or in a combination of steel and rose gold. The dial can have applied 12, 6 and 9 numerals for a sporty look or 12 diamonds on a mother of pearl background for more elegance. 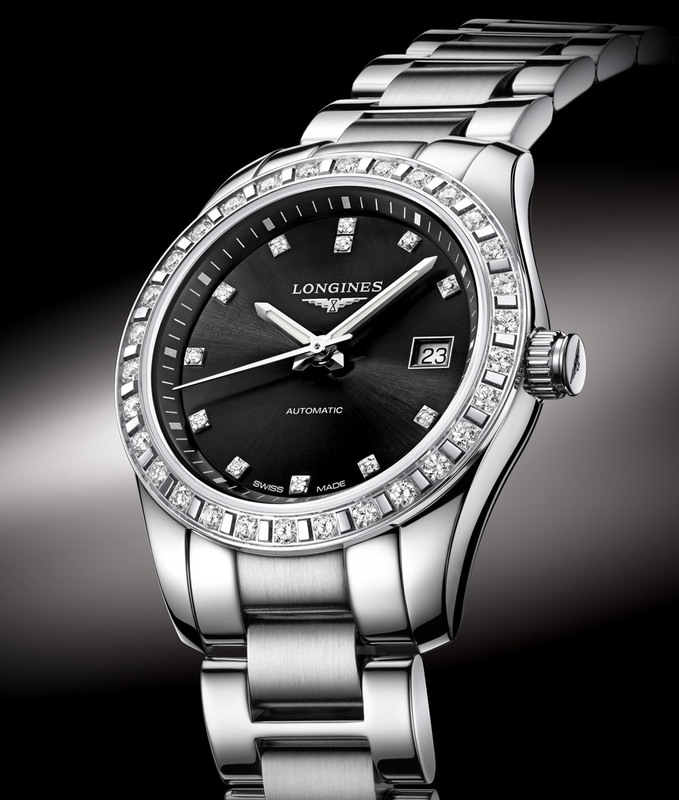 In some model the bezel can be set with 30 diamonds. The gentlemen solo tempo are available in steel, rose gold or in a combination of steel and rose gold and dials with applied 12, 6 and 9 numerals. 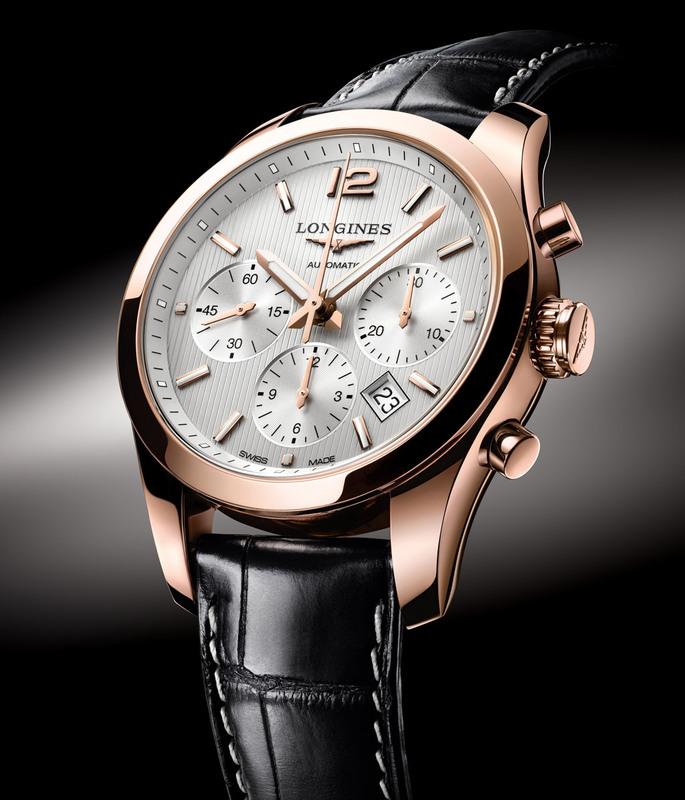 The 41 mm chronographs are fitted with a column-wheel movement specially developed and produced by ETA exclusively for Longines. 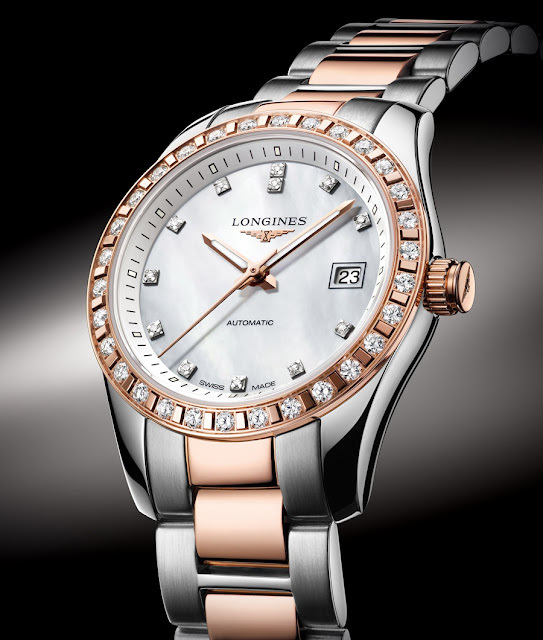 The case is either in steel, steel and rose gold or rose gold alone. The silvered or black dial shows the hours and minutes, with a small seconds at 9 o’clock, date and chronograph functions: a centre sweep seconds, a 30-minute counter at 3 o’clock and a 12-hour counter at 6 o’clock. 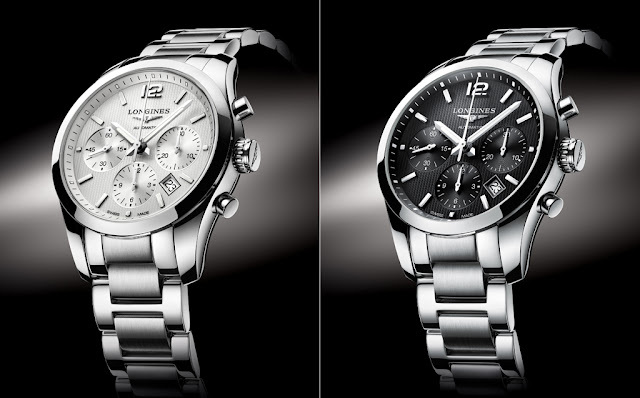 All these models come with black alligator straps or steel or steel and rose gold bracelets, each to match the dial. All straps and bracelets have a folding safety clasp.